As teachers, we have all had times when we have been asked to participate in mandated professional learning. Before you read on, think about the last time you found yourself in this situation. How did you feel about being there? What elements worked for you and what rubbed you the wrong way? For me, this type of learning reminds me of what our students must feel each day. I admit that I myself have not always been a huge fan of mandated professional development. It is ironic that planning and delivering this type of learning is now a regular part of my current position. Knowing that the feelings around this type of PD are not always talked about in a positive light, I was intrigued to read Chapter 3: “A Model for Required Professional Development” in Jennifer Allen’s book Becoming a Literacy Leader. I was genuinely curious to find out what might Jennifer offer to help me become a better facilitator for required learning sessions. Right away I loved Jennifer’s honesty as she shared her moments of success and frustration. Anyone who has organized and led professional learning has had those moments where you clearly know you have failed. Jennifer begins with sharing some very challenging years that were not working for her. Paying attention to our mistakes and learning from them is important for all of us, regardless of our teaching context. I began to think about my biggest fails from this past year. What did I learn? Probably the most important lesson I learned this year was to invest the time to learn the culture of the group. Not all groups work the same way and not all leaders want you to work with their staff in the same way. Asking questions and ensuring expectations are clear, helps things go more smoothly. Many times I am asked to introduce ideas and information that may challenge entrenched ways of thinking and working within schools. Another lesson I learned is to name this dissonance right at the beginning and open up space to disagree, in agreeable ways. My biggest learning continues to come from reflecting about the bumps in the road and what I could do differently next time. I loved her example of “My Life in Seven Stories”, but equally was a fan that she left room for me to contextualize these ideas and make them my own. When I thought about the three ingredients for professional development, I was able to immediately connect my own personal experiences with her framing. Thinking about how groups can make meaning of new content together, I realized how important good questions are for learning. Thinking in questions helps organize the main ideas and guide professional development but also leaves room for the learners to influence the direction and thus the learning. Framing professional learning through a series of questions signals to the participants that they will be actively making meaning together. Knowledge Building Circles are a great way to dig deep into important questions and make meaning of content together. 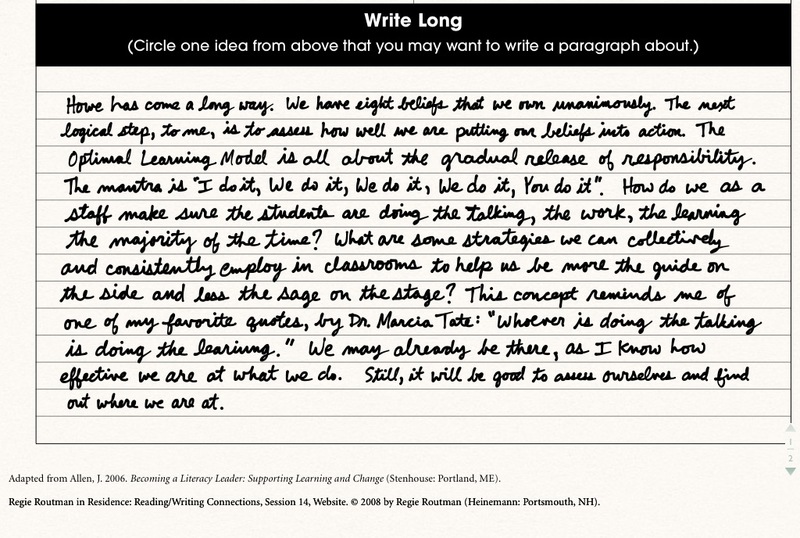 The second ingredient Jennifer suggests is to design professional learning so people can individualize the learning. This can be tough with very large groups but by providing choice within the session, we can increase autonomy and engagement. Choice can be as simple as offering a collection of articles to choose from, a variety of tools to use, or even providing the opportunity for groups to make micro-decisions about how to structure a block of time. Jennifer’s suggestion to take what you learn and apply it yourself (p.54), reminded me that we want our learners to be actively engaged in doing the learning and not just hearing about the learning. 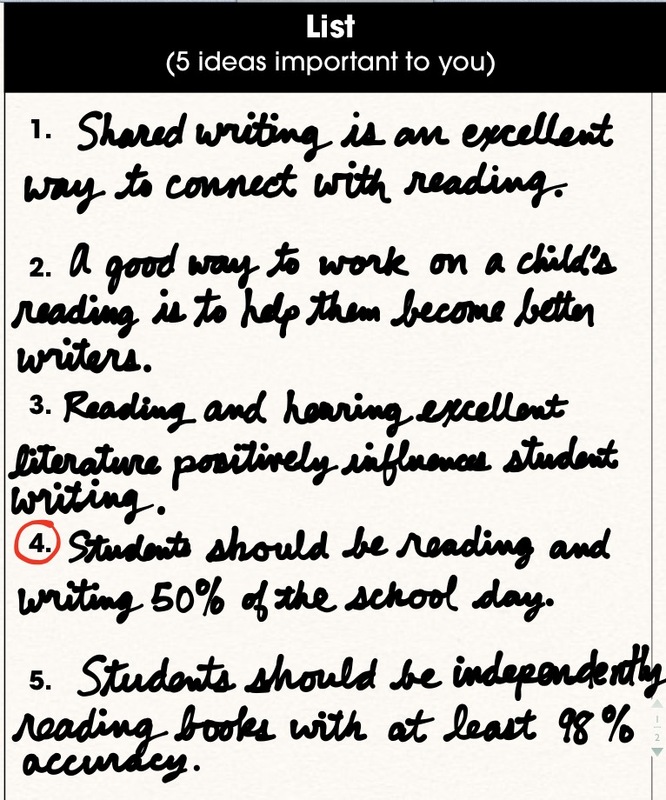 If your session is about reading, ask your participants to read. Taking off the teacher hat and putting on the learner cap is important for internalizing and personalizing learning. The third ingredient was a recent epiphany for me. I used to wonder why we even needed theory. Just tell me what to do! Now I understand that theory helps us understand the ‘why’ behind our choices. Jennifer suggests that the bridge between theory and practice can happen by giving teachers time to play with the strategies in the classroom (p. 54). I think an important part of this ingredient is also to scaffold teachers to be able to name and understand what theory might look like in their classrooms before they leave the professional development session. Embedded planning time to bridge theory and practice during professional development has become a regular fixture in my planning. A handy protocol for this is ‘Connect. Extend. Try’. At the end of PD sessions, I ask participants to think about how the new learning connects with what they already know, what extends or challenges their thinking, and what is one new thing they will commit to trying. Having only finished Chapter 3 of this book, I am excited to continue reading to discover more practical and inspirational ideas about leading literacy. I know I will for sure be stealing Jennifer’s “My Life in Seven Stories” to use at some point with teacher writing groups this year! Please consider adding your ideas about key ingredients or some ‘tried and true’ ideas for professional learning in the comments. 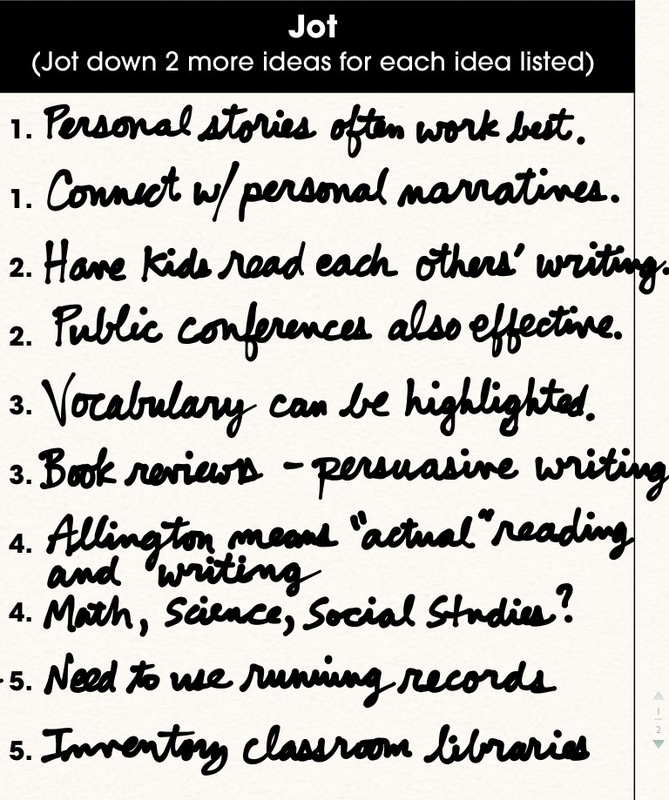 I’d also like to invite you to join our reading community as we read and discuss Becoming a Literacy Leader together. When starting to integrate technology as a school, what is the best approach regarding professional development? Jennifer, this is a great question, and I will post it right here in Google+ so others can read my response. My answer is multi-faceted because there are several considerations when first starting to implement technology within instruction. First, look at your building goals, your school’s past successes and areas for professional growth as a school. Where are you at, where do you want to be, and how might you get there? If you haven’t identified these yet, look at your student learning results. Pay special attention to the interim/benchmark assessments instead of standardized tests and their ilk. These common formative assessments can show you trends and patterns that will guide your work. Once you have a focus for professional learning that has a good chance of impacting student learning, the second step is to consider one possibility for technology-enhanced instruction. When I say one, I mean ONE!! (sorry for shouting). For our school, there was a recognized need to augment our assessments to provide access and accommodation for our students, especially our most marginalized. Using digital tools such as blogs and portfolios have given students a greater voice in how they can be assessed with regard to what they know and are able to do. Third, it is okay to pilot technology integration with only a handful of teachers in the first year. We selected the willing and the interested. Once they became accomplished in using the digital tools with fluency, they became our building leaders in terms of explaining the benefits of the initiative to the rest of the staff. Some of these teacher leaders have led staff development for us at later times. 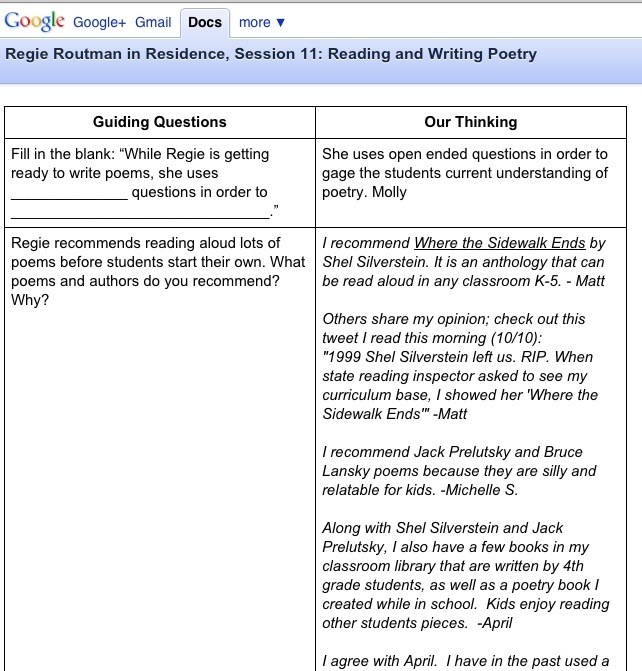 Our staff development offerings are voluntary, paid, and led by the participants’ questions which they post via Google Form prior to the sessions. It cannot be just the principal leading this change process. Finally, make this initiative a multi-year focus that is embedded within a current academic goal. One year is not enough. Plan for at least three years for these enhancements to truly take hold in your school and make an impact on student learning. Also, expect an implementation dip during the process, probably the second year. In my experience, this happens when you think things are running along smoothly. This is a sign that teachers are starting to move beyond the basics of the technology and ready for more training with regard to more complex uses of the tools. Also, if the technology is not up to the pedagogical challenge (and you’d be surprised at how many are not), it might be time to shift gears and consider different digital tools that better meet the needs of the students and teachers. Good luck with your schoolwide approach to digitally-enhanced learning! 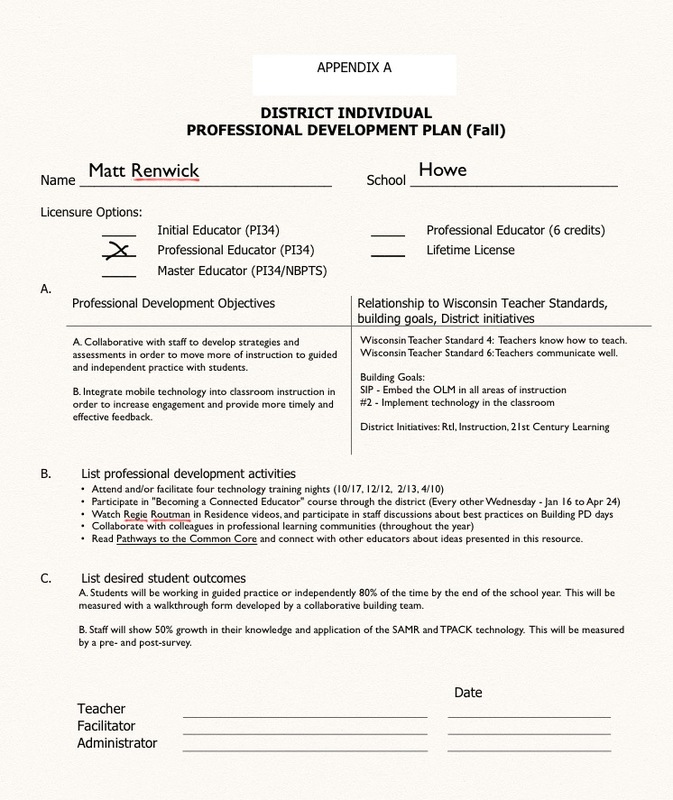 Author Matt RenwickPosted on February 16, 2016 February 16, 2016 Categories blogging, Leadership, Tech Tuesdays, TechnologyTags ASCD Arias, digital student portfolios, implementation, integration, professional development, Technology7 Comments on When starting to integrate technology as a school, what is the best approach regarding professional development? I like Twitter. A lot. In fact, I take purposeful breaks from it (see: tech sabbaticals) just so I can clear my head and reflect on all that I have discovered from my personal learning network. It’s an awesome resource because of the number of educators on it, all sharing specific areas of expertise and conversing about best practice. I wish I had Twitter when I was teaching – I would have been so much better than I was. But Twitter replacing professional development? No. I am surprised that I keep hearing this line. There are just some things that cannot be left to chance. When moving a building forward in their collective instructional capacities, the only method I have found to have a profound effect on student learning is when everyone is speaking the same language. The proof is in my school. The last three years, we engaged in a reading-writing connection residency. This series of modules and activities have put us all on the same page with respect to the best ways to teach and to help students monitor their learning. This year, we are engaging in specific writing strategies for informative/explanatory texts. No one opts out. Our kids deserve the very best in what we can offer. This would not happen via Twitter because I believe you would have a hodgepodge of practices implemented at extreme levels of fidelity, with limited ability to have deep conversations with colleagues. Everything shared in this forum is not top notch. In addition, I very much doubt that every educator would engage in professional learning via Twitter at similar levels of depth. Some educators aren’t interested, and we have to respect that. Identify the most important ways in which to represent the subject that they teach. Create an optimal classroom climate for learning. Influence surface and deep level outcomes. While I agree that there needs to ample room for personal learning, it shouldn’t come at the expense of ignoring what the research shows. It’s not fair to kids. 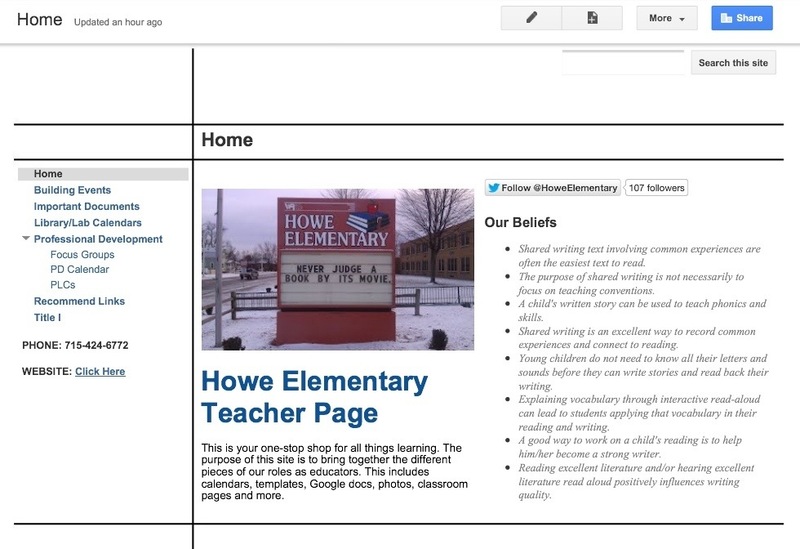 A while back, a teacher on Twitter asked what digital resource is a must for all educators. I replied that the tool doesn’t matter – it is who is on the other end of the connection and the types of conversations that occur that make the difference. This led to more conversation about the power of Twitter, how it connects the world, how you can follow anyone, etc., etc. Preaching to the choir! But what if Twitter went defunct a la Google Reader? 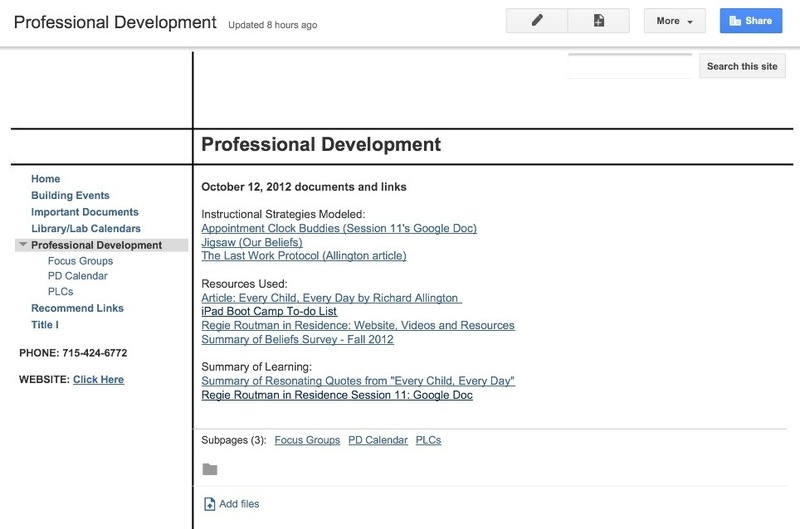 Are we versatile enough to apply the concept of connected learning to other tools, such as Google+? If we truly are life long learners, then the answer should be yes. 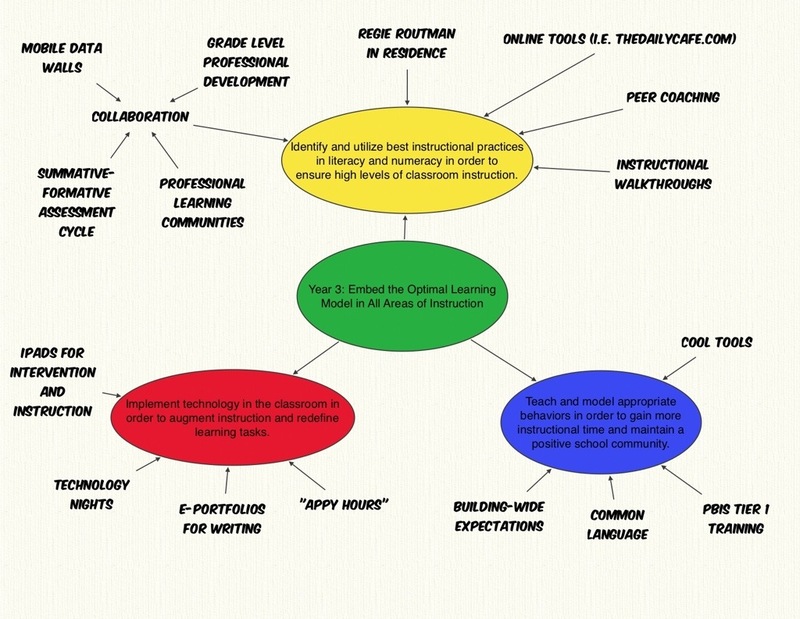 When you hear professional development described as “one size fits all”, what do you imagine? Heads resting on hands? Glazed eyes? Sidebar conversations running rampant? I can relate– I have sat in too many of these types of meetings myself. However, I have come to think that this type of PD is really one size fits none. 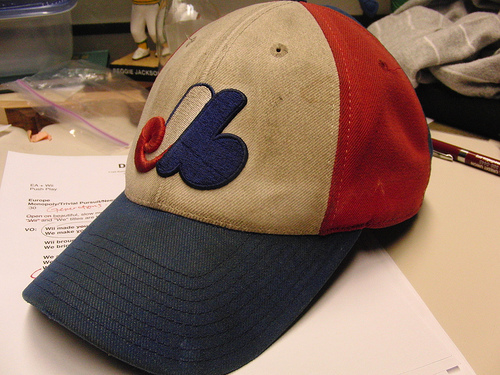 Instead, when I consider one size fits all, I imagine a baseball cap with the elastic head band. This may be a better metaphor for how we might want to approach effective teacher training. These hats can be worn by many users regardless of head size. They adapt to who’s wearing it, but it is still a hat. That’s how I truly see one size fits all professional development. Educators need to work more like a team if we expect whole schools to make a lasting difference on student learning. We cannot have lone rangers. We can call these things whatever we want: Project-Based Learning, Inquiry Circles, Flipped Classrooms. It probably helps to give these practices snappy names so we can wrap our heads around them during the teaching process. But let’s not mistake them for something new; these philosophies work because they are grounded in the best practices listed above. We can wrap the Christmas presents in whatever type of paper we want. But what’s inside is what matters, and especially in how well we use them. When doctors receive training, they don’t go off into isolated corners of the room and do their own thing. They understand that certain methodologies must be adhered to when performing a procedure. Now, there is often more than one way to achieve a desired outcome. But the pathways toward that outcome don’t diverge that far away from each other. It’s the same with teaching and learning. There should be no one prescribed way to help students achieve their goals. Yet to refuse to learn more about practices that have large amounts of evidence to support their use, and instead stick with what we feel comfortable with, is at best being obstinate and at worst neglectful. The onus for hosting successful professional development is on two groups: School Leaders and Teachers. School leaders who prepare these activities need to listen to their staff about their interests and requests. Leaders should differentiate what’s offered to ensure that the learning is relevant and applicable for all teachers. But they concurrently have to look at students’ needs using assessment data, learning artifacts, and evidence-based practices. Where these two areas converge is where staff development should probably receive its focus, delivered through the lens of what a school does well. It’s important that we are all on the same page. If certain practices are effective, shouldn’t we all consider employing them? Teachers need to come to this same learning opportunity with an open mind. Maybe the topic of PD is not what they want to focus on nor spend their time with. But what if the training is really good stuff? Like, focusing on embedding formative assessment within instruction, which can double a teacher’s effectiveness (Wiliam, 2011)? If there are opportunities for staff to voice opinions about professional development, through surveys and by serving on a leadership team, then there is a good chance that what is offered to us as educators will make a positive impact on kids and their learning if applied correctly. The alternative is a lottery system, where if a kid is lucky, they will get a teacher that is using great instructional practices that every educator in the building should be using in the first place.